Murdo Ritchie’s ‘Promoting Republicanism’ is a very important contribution to something we Republican Socialists need to keep working on until we have a theoretically rigorous and internally-tested critique of the poverty of any socialist analysis that fails to incorporate a full understanding of democracy and republicanism; only when this is in place can we think about breaking through to a position of genuine influence on the Left, let alone wider society outside of Scotland. I see Murdo’s ‘Promoting Republicanism’ as a key stage in that development – and a very welcome one at that – and my comments, including my attempted development of aspects of what Murdo has written, are put forward in that spirit. What I increasingly find is that the most interesting left thinking in Britain comes from Republican Socialists, which was born out by the impressive quality of discussion at the recent RSA AGM in London; much of what passes as debate within the rest of the British (certainly the English) Left is stale repetition and, within Left Unity, the recycling of stale certainties from past eras in the name of ‘doing politics differently’. Unless we think politics differently, a failed practice will recur. by James Foley & Pete Ramand (Pluto Press, 2014). This was first posted on Murdo’s blog (http://murdoritchie.blog.co.uk) and has been slightly changed. The cover and the title of this book summarize the contradictory tensions that flow all through the text. 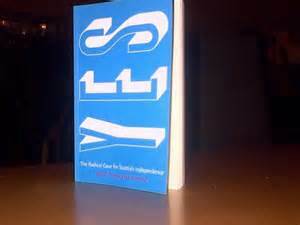 The word Yes takes up nine-tenths of the cover referring to the authors desire to give positive affirmation to September’s independence referendum. Much smaller, is the claim that it will present the radical reasons for national independence. However, rallying a vote and constructing a case are two entirely separate tasks. By attempting both, the authors fail to satisfactorily achieve either. The book is entirely constructed out of these kind of incomplete, unresolved tensions.